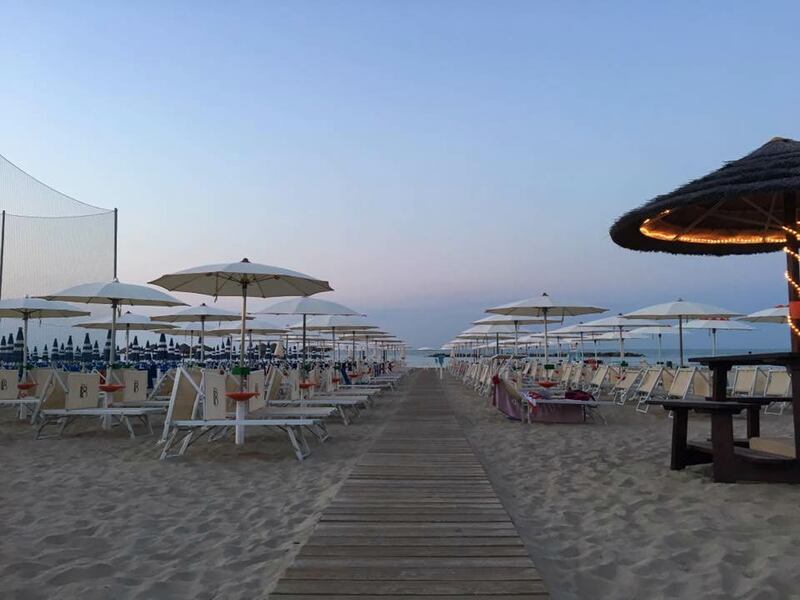 Welcome to Bagni18, our beach! 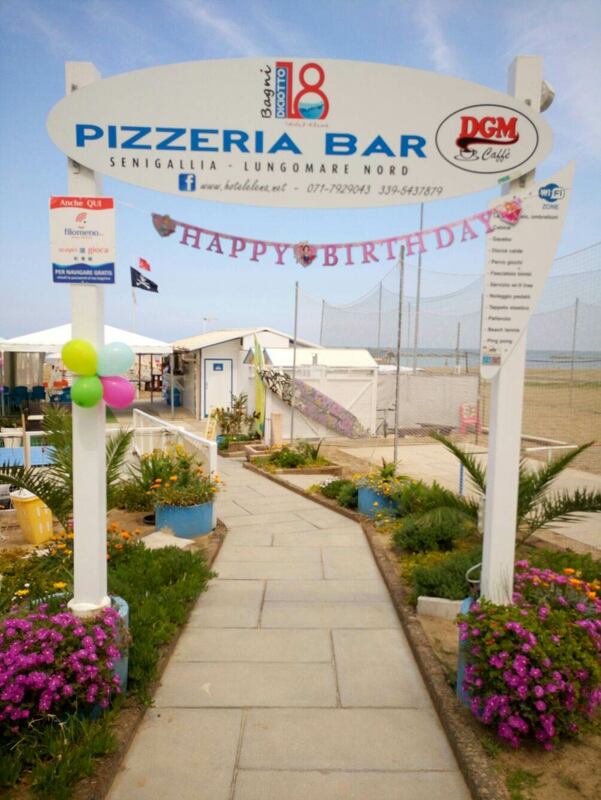 Andrea and Francesco will welcome you in our bar-pizzeria kiosk, equipped with three comfortable shady gazebos. Here you can enjoy lunches, dinners and delicious aperitifs, comfortably seated in the shade. For the little ones we have created a special area just for them, with lots of games, a very enjoyable trampoline, climbing equipment, slides, a wooden house on stilts, swings and much more. Every morning our animators* will involve the children in games, music, paints, tattoos, make-up and more... to give the parents a well-deserved rest. Moreover, at 5:00 p.m. we offer all children a snack! *Our animation is offered daily from Monday through Saturday and is guaranteed to take place from July through August (and in June and September if a minimum of 10 children are present). What could be better than sitting under your umbrella and having something to eat? Whether it is an aperitif at sunset, a quick lunch or a dinner at the end of the day, the offers from Hotel Elena are varied, tasty and... ready to get to you! Pizzas on a plate or by the metre, salads, piadina, hamburgers and sandwiches of all kinds... Every ingredient will be completely fresh and of high quality! For our pizzas, we use only authentic ingredients, carefully chosen from the start, from the first processing through to the leavening at the end. We choose local products at 0 kilometre and the result is simply mouth-watering! Try our special pizzas, and if you do not know which one to choose, ask us for advice... we will find the right one just for you! Sports tournaments, theme nights, guided tasting and much more!